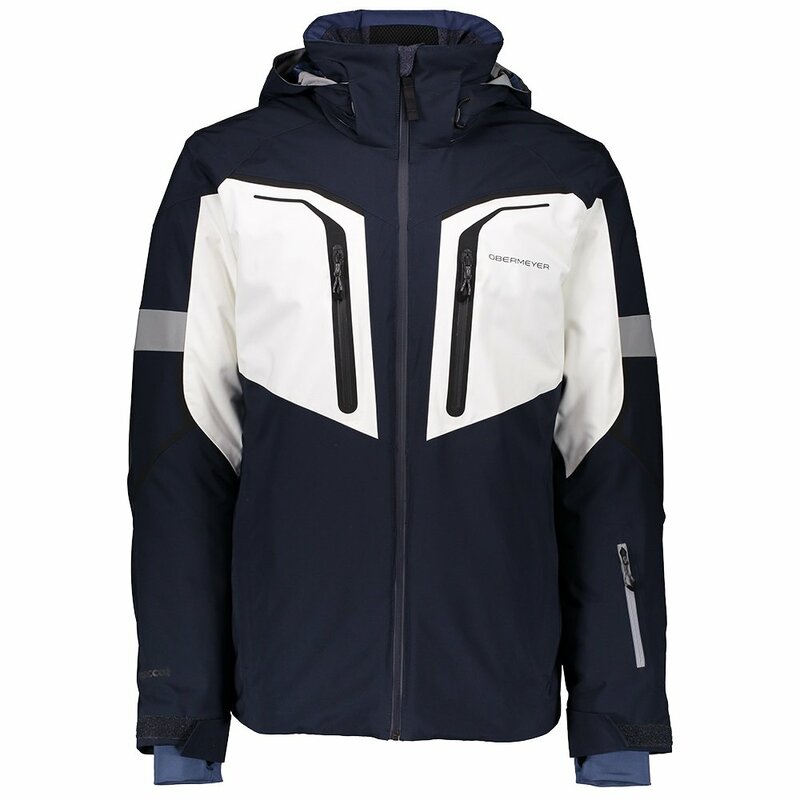 Designed for skiing comfort in any conditions, the Obermeyer Charger Insulated Ski Jacket offers unmatched versatility and improved comfort for skiers who expect more. Four-way stretch construction, backed by a two-way stretch liner, allows for improved freedom of movement on the slopes. Keeping warm also won't be a problem as the body mapped PrimaLoft® ECO Black insulation provides a toasty and comfortable fit without the bulk. HydroBlock™ waterproofing provides protection from snow and slush, and even light rain and the built-in MFNG™ works with the Snap-Away™ powder skirt and stretch wrist gaiters to seal out the cold.